Dust control-Jiangmen SciCorp Environmental Technology Co Ltd. There are two main types of factors harming respiratory organs in the production process: productive dust and productive chemical poisons. Any or more concentrations of these two factors in the workplace that exceed the hygienic standards will have an impact on the health of workers. Dust (especially industrial dust) is one of the most serious occupational hazards to human health. Not all dust will be absorbed by human body. Long-term suspension in the air, the finer the dust particles, the easier to be inhaled by the human body, especially less than 5 micrometers of respiratory dust, will directly enter the alveoli and deposit, leading to silicosis, light loss of labor capacity, heavy death. SECCO Environmental Protection Company develops, designs, manufactures and installs process and equipment to solve the environmental problems of dust according to the production conditions of all walks of life. 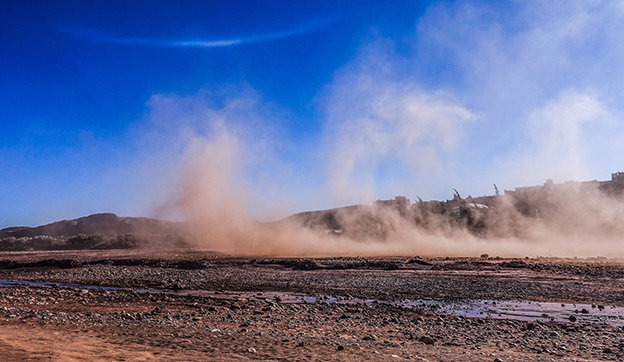 According to the actual production process requirements, a dust control scheme is formulated to meet the requirements of the process, which integrates constant temperature, humidity, high efficiency filtration and sterilization, so as to solve the problem of dust pollution from the root and establish a comfortable working and living environment.